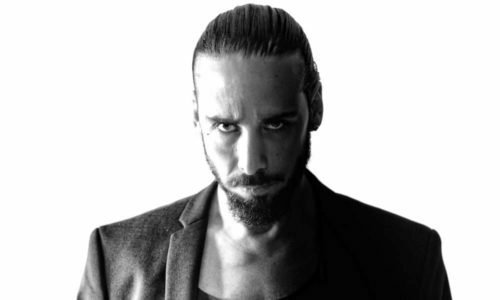 Cristian Varela is acknowledged as one of Spain’s pioneering techno producers and promoters. When he started his career over two decades ago, he was one of the first Spanish DJ’s to receive international bookings. Originally gaining DJ fame for playing standout techno sets on four vinyl turntables, many do not realise Cristian Varela is also a successful composer scoring soundtracks for film, theatre and television. He has even recorded a symphonic album at the legendary Abbey Road Studios in London. Techno is always evolving and like the genre, Cristian has moved with the times. In 2018 he plans to relaunch his “Black Codes Experiments” project, which originally started in 2003 is a return to his roots with a series of gigs and vinyl only releases featuring artists such as Regis, Mark Broom, Shufflemaster, Tensal, Abstract Division, Exium and Arnaud Le Texier, amongst others. When talking about Cristian Varela’s roots, longstanding fans of the Techno genre will need little introduction for his seminal remixes of artists such as Ben Sims and Speedy J, and although he has spent many years leaving in London, he has never forgotten his humble roots. Often returning to Spain to give guest talks at many of the country’s leading music schools and colleges. More than just a remix artist, Cristian Varela has released numerous solo EP’s on labels ranging from Carl Cox’s Intec to his own Pornographic Recordings, and although the relaunch of his Black Codes Experiments imprint will draw some of attention from Pornographic Recordings, it will not stop the label from continuing to feature new music from the likes of The Advent, Ken Ishii, Gary Beck, Marco Bailey, UMEK, and many more. Also planned for 2018 will be the premiere of a special documentary film celebrating Cristian Varela’s 25 year career in music, which features testimonials and commentary from friends and colleagues including Carl Cox, Chris Liebing and Joseph Capriati, plus numerous others who have been instrumental in his career. With a gig schedule that takes him all over the world, for those who are patient, you should be able to catch Cristian in your home city or country. For those who need a more regular dose of his music selections, you can catch his weekly radio show that’s syndicated in Europe, USA, South America and Asia via more than 100 specialised techno stations in more than 50 countries. Taking into account all of the above, it comes as no surprise Cristian Varela has won more than 40 awards including “Best Worldwide Techno DJ” at the DJ Awards in 2007 and again in 2013. Cristian Varela is acknowledged as one of Spain's pioneering techno producers and promoters. When he started his career over two decades ago, he was one of the first Spanish DJ's to receive international bookings. Techno is always evolving and like the genre, Cristian has moved with the times. In 2018 he plans to relaunch his "Black Codes Experiments" project, which originally started in 2003 is a return to his roots with a series of gigs and vinyl only releases featuring artists such as Regis, Mark Broom, Shufflemaster, Tensal, Abstract Division, Exium and Arnaud Le Texier, amongst others. When talking about Cristian Varela's roots, longstanding fans of the Techno genre will need little introduction for his seminal remixes of artists such as Ben Sims and Speedy J, and although he has spent many years leaving in London, he has never forgotten his humble roots. Often returning to Spain to give guest talks at many of the country's leading music schools and colleges. More than just a remix artist, Cristian Varela has released numerous solo EP's on labels ranging from Carl Cox's Intec to his own Pornographic Recordings, and although the relaunch of his Black Codes Experiments imprint will draw some of attention from Pornographic Recordings, it will not stop the label from continuing to feature new music from the likes of The Advent, Ken Ishii, Gary Beck, Marco Bailey, UMEK, and many more. Also planned for 2018 will be the premiere of a special documentary film celebrating Cristian Varela's 25 year career in music, which features testimonials and commentary from friends and colleagues including Carl Cox, Chris Liebing and Joseph Capriati, plus numerous others who have been instrumental in his career. With a gig schedule that takes him all over the world, for those who are patient, you should be able to catch Cristian in your home city or country. For those who need a more regular dose of his music selections, you can catch his weekly radio show that's syndicated in Europe, USA, South America and Asia via more than 100 specialised techno stations in more than 50 countries. Taking into account all of the above, it comes as no surprise Cristian Varela has won more than 40 awards including "Best Worldwide Techno DJ" at the DJ Awards in 2007 and again in 2013.